Can cats eat lettuce? Lettuce is a healthy leaf vegetable. We like to add them to our salads and sandwiches. They add taste and nutrition to our food. If you as a pet owner happen to like lettuce. Then you might want to share it with your feline friend. However, You are worried that if lettuce is safe for cats or not. Let’s discuss this topic thoroughly. 1.11 Does your cat need lettuce? 1.13.1 So, what to do? Yes, lettuce is safe for cats. They can eat lettuce. But, there are some additional things you need to be aware of before giving your cat some lettuce. Lettuce is not toxic to cats. If you are feeding a small amount of lettuce is safe. They are just like any many other vegetables and fruits. Lettuce contains quite a lot of dietary fiber. That aids digestion. Cats should not eat too many greens. The dietary fiber can have a purgative effect on them, especially for cats. They don’t normally eat a lot of greens as They are a carnivorous animal. Their main food is other animal meat. But, It is okay for cats to have a small amount of lettuce. You can give her one or two slices of lettuce. You can simply add little bit lettuce slices to your cat’s normal cat food. The grass is green and many cats love it. Cats normally eat grass because it provides them digestive enzyme because it allows them to better digest vegetables. You might have noticed cats may also throw up after eating grass. But this is not a bad thing. Theories suggest that the throwing up can help to eliminate stuff in the digestive tract, that your cat could not able to digest properly. Also, the grass contains folic acid. Folic acid is an essential vitamin for your cat. The grass has the causing things like hairballs to move more easily through the digestive tract. Grass seems to be a good thing for cats. The only problem is with throwing up. If you are feeding your cat grass, and you are taking the grass from outside somewhere. Then, you should make sure the grass has not been treated with the lawn chemicals. Things to remember that some chemicals can also travel through the air from nearby treated lawns. Your best choice growing your own grass for your cat to eat. At least that you are making sure it is chemical-free. Caution, a blade of grass can get stuck in the back of your cat’s throat. So, Be aware of this. If your cat want to have some greens, You can give her something with a wider leaf, like lettuce. They are perfect for cats as being a low-calorie food. Some cats are overweight and obese. If your cat is struggling with maintaining a healthy weight. Then, lettuce can be a great snack to help with this situation. 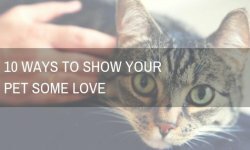 If you are feeding your cat multiple times in a day. You are experiencing some trouble keeping your cat’s weight in check. You can use lettuce is a neat trick. Trust me, I tried it and it worked like a charm. Lettuce is best for cats those who eat dry foods. And those have trouble staying hydrated. Lettuce is great for hydration. And, the food itself is by no means a substitute for drinking water. You still have to feed your cat with a sufficient amount of water throughout the day. As we speaking of remaining hydrated. There is another neat trick, you can use on your cat is getting a water fountain. Cats are playful animals. They will love playing with the water. In this situation, they will drink it often. If your cat experiences some painful UTIs often. This is a sign of dehydration. Also, if your cat rarely pees. it also indicates it is dehydrated. Fibber is good for humans. They are also good for cats as well. It helps make pooping easier for both cats and human. If your cat having a healthy amount of fiber in your cat’s diet. She can poop regularly and with no troubles. But, it does not mean that you make lettuce the only food in your cat’s daily diet. Remember, these benefits will affect when lettuce is used as a snack. Cats are carnivorous. They need their daily cat food in the diet. Cats food contain a good amount of protein. Cats normally need a lot of protein in every day’s diet. As we mentioned before, Lettuce contains vitamin A and vitamin K. It has folate and several other nutrients and vitamins. That is not only healthy for humans but cats as well. Your cat may not extract all of the nutrients available in lettuce. But, it will benefit from some which are better than nothing. It is true that cats love plants. In fact, I tend to think before that no plant in the house is safe with my cat is around. While cats need meat for their survival. But, cats tend to love plants as well. Some of the plants that are safe for your cats to eat. They help to make your cat vomit. These plants include grass. It helps your cat to vomit after eating grass. That feeling is not fun. Lettuce has a lot of benefit from being safe. And, in addition, it does not make your cat vomit. Dark lettuce and organic lettuce are good for cats. And don’t indiscriminately to feed greens to cats without checking them out first. In case you can also take further advice from a vet. You might also if feeding the cats greens like parsley is safe for cats, on that case, remove stems of parsley. Because they could cause choking though I have never had this problem with my cat. Cats are most likely to try new food. More often they like to eat what their owner usually eat. If you have that kind of cat I know very well how they are. This kind cat will get her nose into everything. Some cats especially love the variety in their diet. They will seemingly take a bite out of anything. They are likely to try what their ower eat whether or not it’s edible. we aren’t the only ones who like to try new foods, Some kitties like to taste people food. So, Giving them some lettuce here and there using it regularly as a snack is a great idea, They are the safe way to make sure that your kitties getting something different in her diet. This way you could give her some different food without the risk of your cat eating something that may be harmful to her without realizing. There are plenty of cat herbs houseplants. And, it will be okay for your kitty to bite on it. if she takes a bite, it doesn’t mean you would want kitty to bite on them. After all, it’s not pleasant to see chunks missing plant where she bites. They were taken out of your houseplants and scattered here and there. You can offer this dark leaf vegetable to cats. if she is getting satisfied with lettuce that is a good thing. That means she is more likely to stay away from your other houseplants and herbs. Does your cat need lettuce? No, cats do not need lettuce. They do not need any other vegetable in their diet. If you have great cat food, that is high in protein. Your cat should be getting all the nutrients it needs from it. The cat can survive without feeding on lettuce. 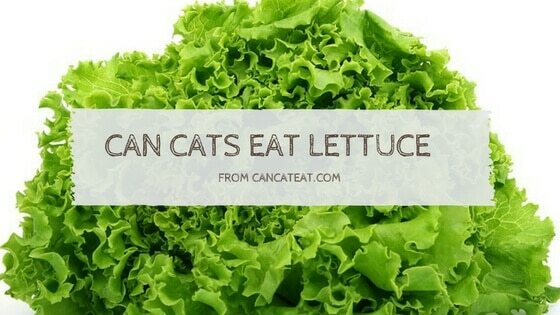 Your cat will without a doubt extract some benefits from the lettuce. But, refusing to feed it on lettuce. They will not cause any such problem. If you are adding lettuce to your cat’s diet. You should try cutting the lettuce into small pieces. This will make it much easier for your cat to eat the plant food. Additionally, you should try to give her different types of lettuce. The different types of lettuces differ in their tastes slightly. This way your cat will learn to appreciate. You can add some little pieces of lettuce to your cat’s kibble. 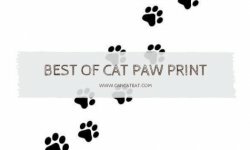 If your cat does not take to new foods. Well, you could try this trick. It works all the time. Cats are very picky when it comes to the food. They often prefer to have food given to them in a specific way. So, when it comes to lettuce, there is no different. I recently give my cat a big piece of lettuce, she just stares at it and doesn’t want to touch it. Firstly, Tear the big piece of lettuce into small pieces. just make them in very small and thin pieces. Cut the lettuce leaves into little strips, So, that way they could go even as small as the size of a blade of grass. Once you tear them into small pieces, your cat might take it. She could play with it until she gets bored. Cats might not like new foods. After a few sniffs if it does not interest her. Then you could wait and try after few days again. Some cats might not like lettuce. Sometimes it has to do with the taste of your cat not just the size of the lettuce. It might depend on what type of lettuce she is eating. Try out different kind of lettuce depending upon the preference of your cat. Some cats might like darker lettuce or the purple ones. Your cat might not like a new food. You can try putting some small pieces of lettuce next to your cat’s food might do the trick. Many cats love houseplants. Some houseplants can be toxic to cats. Because of my cats love greens. I have a few houseplants. And the ones I do is out of the reach of my cats. They are few houseplants are toxic to cats. Here a video list of common dangerous houseplants for cats. If you have houseplants that are not toxic to cats, then you are living in the space. But, be sure that you’re not using any kind of chemicals on the plant. And do not add anything to the soil (some cats love to dig in dirt) that your cat could accidentally ingest. As we have discussed lettuce. They are safe for cats. When it comes to carrots, You do not have to worry about anything. They are not toxic to cats. But, Most people recommend feeding cooked carrots to cats. As we know raw carrots can be crunchy. And it is hard for cats to chew and digest fibrous vegetables. Just keep in mind, if you are planning to give anything new to your feline always keep the amount low. You should take advice from your vet. Like we said, cats are carnivorous. Therefore, you don’t want to feed them too many veggies. But, they can make for good snacks for our cats. They can even help with the digestive issues. There is no reference related arugula in Toxic Plants for cats in ASPCA. Therefore, they are not toxic to cats. You should ask your veterinary doctor before adding any kind of unknown food in cat’s food. You should not let your cat eat kale. They are not safe for cats. They can become life-threatening to cats. kale will act as an oxidizing agent in the cat. And, So this can cause Heinz body anemia. Spinach is safe for cats. They contain low calories. They have every vitamins and mineral. Spinach is a good way to introduce green to cats. If your cat has urine issue or kidney problem. You should avoid feeding it to your cat. Cabbage is safe for cats to eat. It is okay to give them in small amounts. Cabbage can provide your cat with valuable nutrients such as vitamin B-6, calcium. Fresh cabbage also has anti-cancer benefits. Cabbage can also cause uncomfortable gas for cats. But, only a small amount is good. Another reason you should limit the amount of cabbage. Because cabbage contains thiocyanate. If they are consumed in large amounts, can have a negative effect on thyroid function. Can Cats Eat Swiss Chard? Plants like chards are very high in oxalic acid. And, some experts say they may help on developing of the kidney and bladder stones. Therefore, They are not recommended for cats to eat. Lettuce and dark leafy vegetables are good and healthy for your cats. If your cat loves lettuce and some greens, then they could be a great source of water and nutrients. In my experience, some cats might like to eat these greens and some might not care. Again, use caution while giving her green do not add too much. You can feed lettuce to your cat. It is better than just staring at the leftover salad. Lettuce is a good source of vitamins and minerals. They are a source of Vitamin K and Vitamin A. So, Lettuce can help with blood coagulation and growth development, maintenance of a healthy immune system. And also good vision respectively. Lettuce is also a good source of water. They help to clean teeth naturally. With all these benefits Lettuce is safe for cats to eat. Your cat could enjoy lettuce occasionally in moderate. 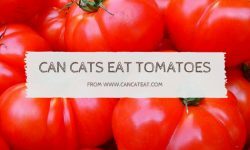 Hope this article helps you to solve your doubt related to “can cats eat lettuce“.